It was the 1980s, and there wasn’t a cheesy enough piece of Japanese graphics or ninja-related bad illustration we wouldn’t wear on a black t-shirt. 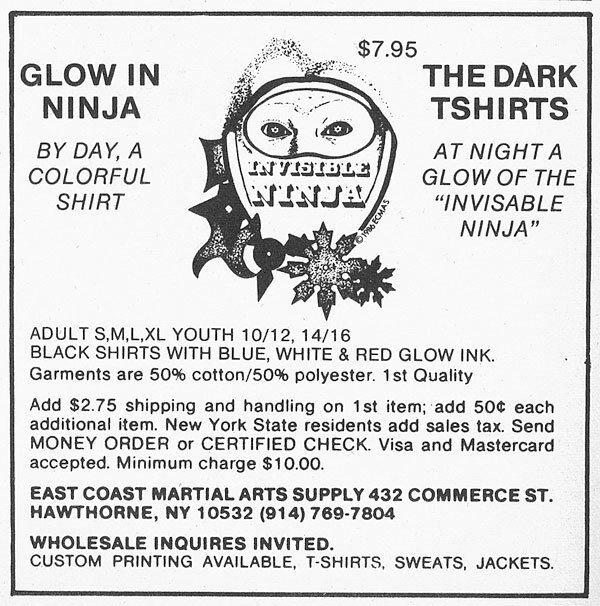 Hey, maybe while you were wearing the “glow of the invisable [sic] ninja” you could scream the death cry of the silent killer or something. And look again – INVISIBLE spelled correctly and incorrectly right next to each other. Classic!